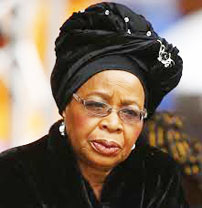 Nelson Mandela’s widow, Graca Machel is meeting some of the parents of the 219 girls abducted by Islamist Boko Haram militants last year. The meeting in Lagos is to support the parents as they deal with the trauma caused by the abductions. Seventeen of the girls’ parents have died since their abduction as kidnap of the girls from a school in Chibok sparked global outrage last year. In May last year, Mrs Machel, a prominent child rights campaigner, sent a message of encouragement to the Chibok parents and urged the Nigerian authorities to do more to free the girls. 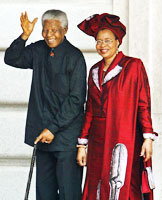 Machel is also the founder of the Graça Machel Foundation. Machel is in Lagos as head of a delegation of the African Leadership Foundation’s proposed university in Lagos, and as the inaugural chancellor of the university, offer experiences, which the foundation had acquired over the years in education, financial inclusion and enterprise development for women, and to identify and mobilise Civil Society Organisations (CSOs) in helping with the initiative to massively reduce the number of children that are out of school. She said the foundation specifically chose to partner with Lagos Government because the state had proven to be the driver of change. 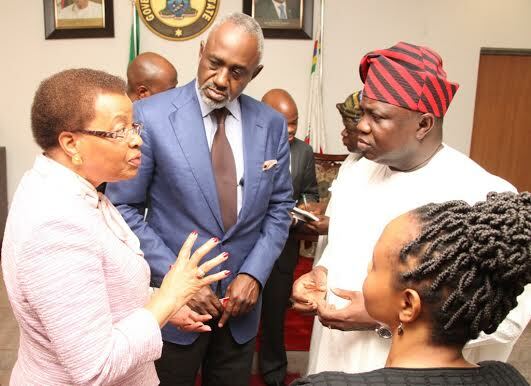 Machel was accompanied on the visit by former Chairman of Nigerian Bar Association Section on Business Law, Gbenga Oyebode; Founder of African Leadership Group, Fred Swaniker; Chief Executive Officer of Graça Machel Foundation, Nomsa Daniels; and Chief Executive Officer of Murtala Mohammed Foundation, Aisha Oyebode. The Chibok schoolgirls have not been seen since last May when Boko Haram released a video of around 130 of them gathered together, reciting the Koran. Some of those who were kidnapped have since been forced to join the militant group. Amnesty International estimates that at least 2,000 women and girls have been abducted by Boko Haram since the start of 2014.